Obituary for James L. Berk Sr.
Berk, James Sr., age 81 of Dayton passed away on October 9, 2018. He was an avid Red’s fan, loved to cook & served our country in the US Army National Guard. He was preceded in death by his wife Sylvia of 49 years, father John & mother Ruby. He is survived by three daughters Melissa, Jacqueline & Belinda, two son’s Robert & James Jr, two brothers & one sister, seven grand children & ten great grand children. Family will receive friends Saturday October 13 from 11 AM until time of services at 1 PM with burial to follow at Valley View Cemetery. In lieu of flowers donations can be made to Hospice of Dayton. 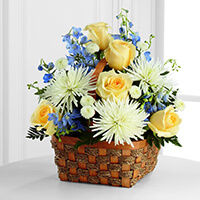 To send flowers to the family of James L. Berk Sr., please visit our Heartfelt Sympathies Store.